Considered by many to be the true first day of Bonnaroo, Friday brought some of the longest sets of the weekend (aside from Phish‘s four+ hour jam session that closed the festival Sunday night) and featured many diverse acts, making for a jam-packed day of everything from brass bands to electronica. 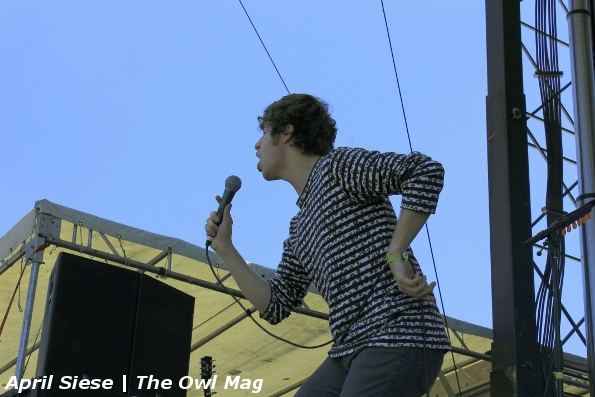 The Kooks started things off on a more than sunny day, taking the second biggest stage of the festival, the Which Stage. With playful jams like “Shine On” and “Is It Me?” the British band made a strong case for why they made it to such a large stage. Despite being the first band on it, an impressive crowd turned out to watch frontman Luke Pritchard undulate and dance as they followed suit. 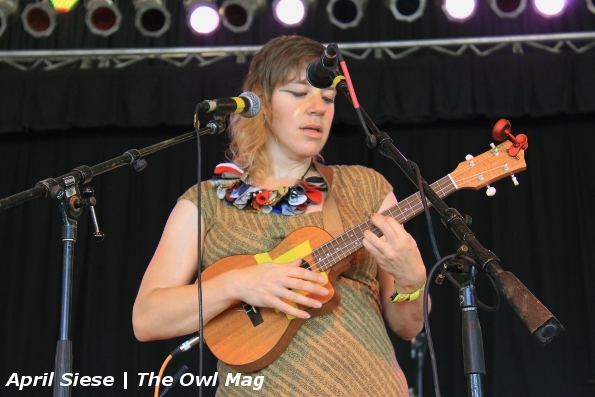 Up next at the This Tent was tUnE-yArDs. Frontwoman Merrill Garbus was taken aback by the crowd’s enthusiasm on her early set Friday, though the response to her stellar set was much-deserved. She set the scene by saying, “pretend this is Hawaii.” Given the hot and humid Manchester weather and the endless appearance of barely-there costumes and swimsuits, the notion wasn’t that hard of a sell. Drawing heavily from her latest Whokill and also adding a horn and strong percussion section, the mystique of her signature loops and whoops were only elevated by the extra presence. 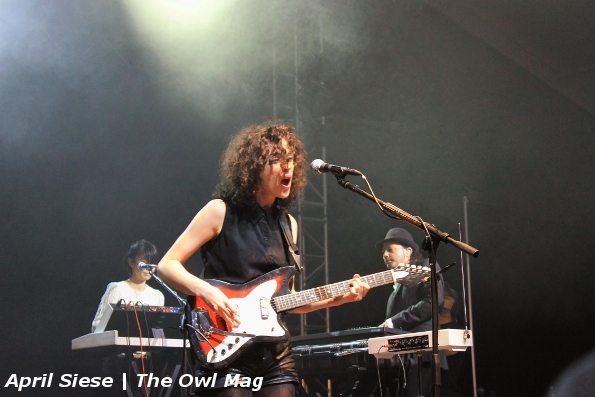 Multi-instrumentalist Annie Clark gave one of the most standout performances of the weekend as St. Vincent played a moving set at the That Tent. St. Vincent reminded us why the suburbs of Texas may not be that bad of a thing, touching on her experiences trying to escape it, only to meet the initial culture shock of big cities and an even bigger world. New single “Surgeon” was engrossing; the easy comparison to fellow Texas suburb juggernauts Arcade Fire is much-deserved as St. Vincent continues to be on the upswing. 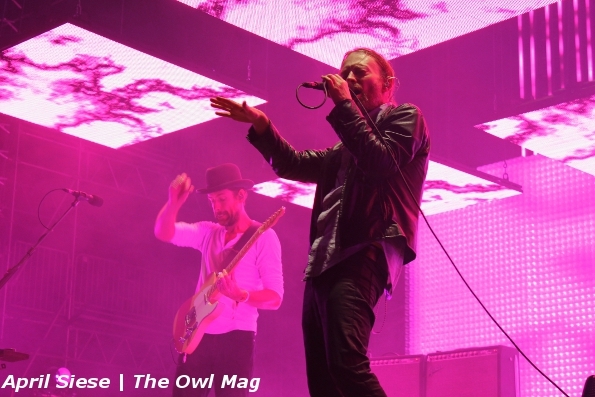 One of the more exciting moments of Bonnaroo was experiencing Radiohead up close, live. Not one to be concerned about time constraints or frankly much else in ways of order, Radiohead blasted through 25 songs that spanned a decent chunk of their extensive catalogue and included much from their latest King of Limbs, including a personal favorite “Identikit.” Those near enough to the stage to see Thom Yorke and co. were treated to an awesome stage show, with hanging video panels that went from dangerous angles to the flatness of a ceiling within just a song or two. Resting near the Bonnaroo logo atop the stage was even more video to take in, including those strange graphics we mentioned when they played Coachella. Being that Bonnaroo’s a camping and communal festival, the party seemingly never stops and with late-night sets by Major Lazer, Umphrey’s McGee epic rager that lasted until dawn, and Big Freedia‘s booty-shaking 3am set, the music bled right in to Saturday. Check out even more badass photos here! 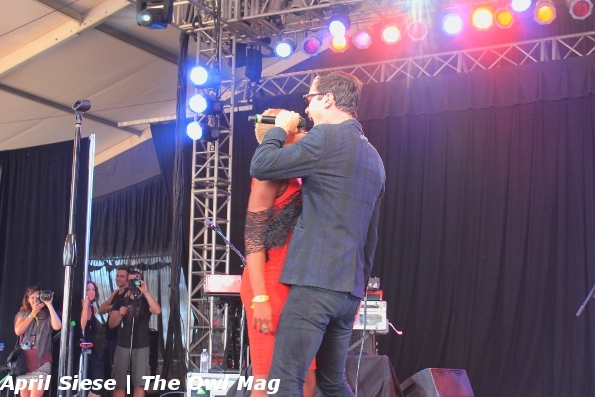 And check out our LIVE REVIEW of Day 1 here!